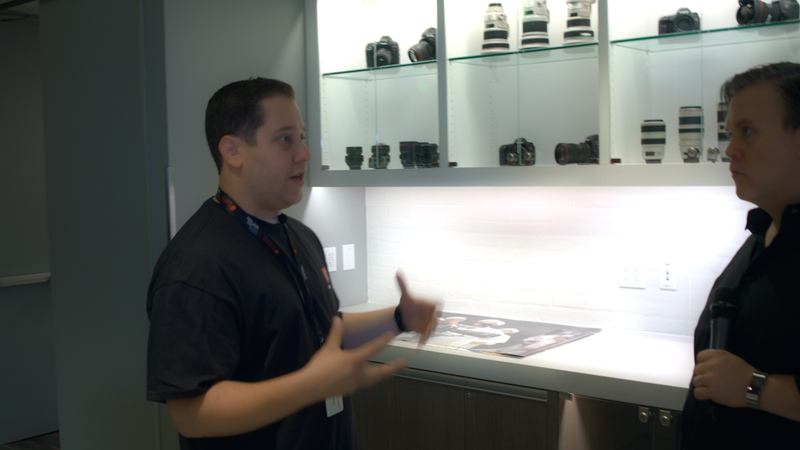 Recently we had the opportunity to visit Canon Burbank. You might remember, Canon had facilities in Hollywood, and this Summer the company moved to its new home in the heart of the Media District of Burbank. 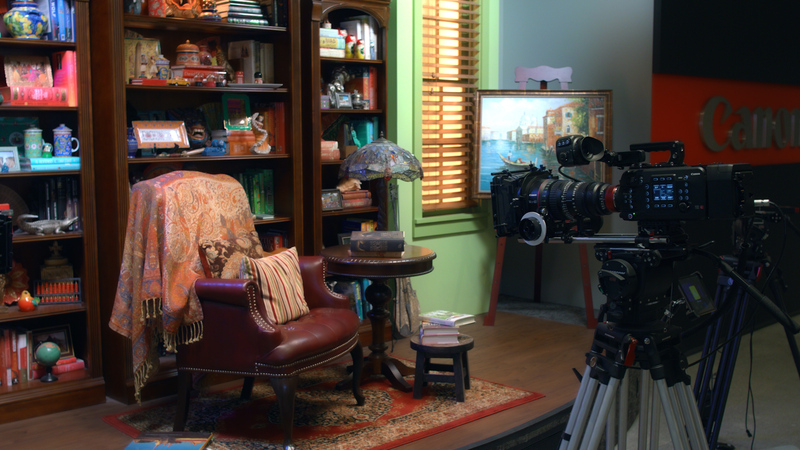 Sandwiched between Warner Bros. Studios, The Burbank Studios, and Disney Studios, Canon Burbank stands ready to serve the production community with service, support, education and a staff of professionals. However, that’s not all. Because Canon is now in Burbank, parking is a snap, just park in the facility’s parking garage, and the receptionist will gladly validate your parking at no charge. Canon’s own Alex Sax gave us an extensive tour. He showed us the main service area. This is where you can come in off the street and bring your Canon product in for evaluation and service. While you wait you can check out the new C700 and other Canon EOS cameras as there is a camera shoot out with interactive display and state of the art monitors enabling you to try out a variety of Canon’s cine and still lenses on a myriad of different Canon cameras. If you really want to a professional experience and build out your camera or perspective camera you can do that in their fully loaded prep lab. It’s similar to what you would see at any rental house. Here you can totally build out your rig and test not only how the image looks in-camera, but through their interactive fiber network, you can actually have that image distributed live either to the technicians or to one of their two 4K laser projectors in the facility. 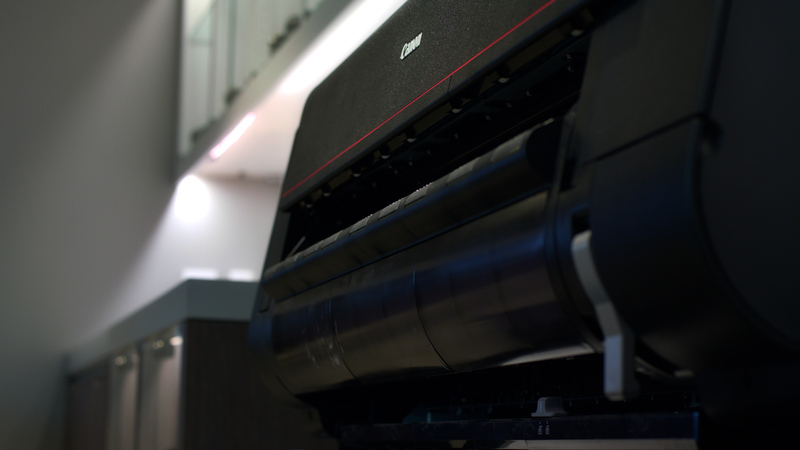 But it’s not just all about cameras, Canon’s printing technology is on display, and you can actually come in a print panoramic images on their large format printers. 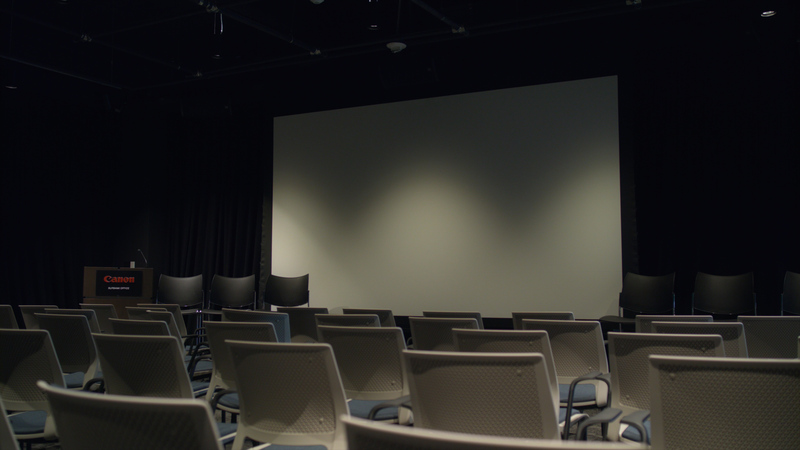 Canon Burbank has a theater which can do screenings as well as panel discussions for about 70 people. If you’ve shot a production on a Canon, you should reach out to Canon Burbank, as they may want to screen it there. There are great seminars on a daily basis there with professional cinematographers and filmmakers who want to share their experience. As Alex Sax says in the interview, “If you shot something on Canon and you’re proud of it, we’re probably going to screen it here. 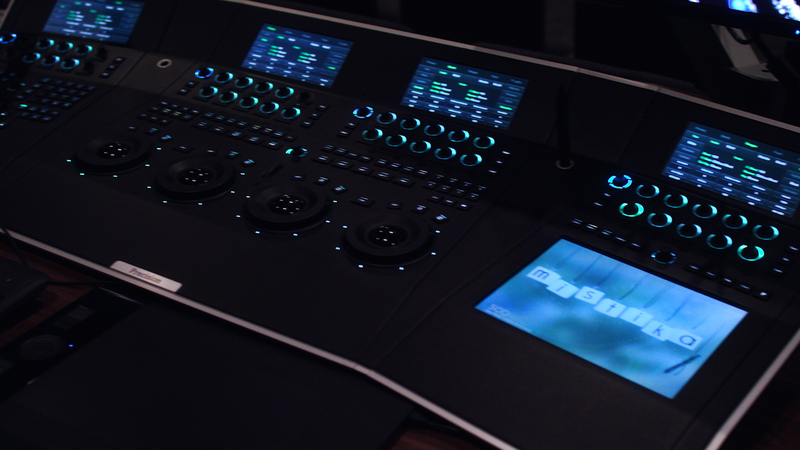 There is also a smaller 4K theater where you can actually do live color correction using their SGO Mistika color correction system. Here you can really scrutinize the image coming from your Canon. Of course, there’s much more to Canon Burbank, including a full editorial suite and a filmmaker lounge, but the key point Sax wanted to get across was that Canon sees that the facility belongs to the filmmaking community. They want people to come in a use the facility and get the most out of it. Canon Burbank is located at 3400 West Olive Avenue, Suite 250 in Burbank. They are open Monday through Friday from 9AM to 5PM. You don’t need an appointment for service, and they welcome visitors during business hours.